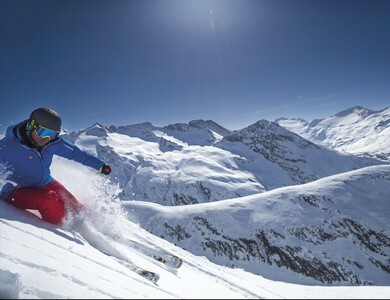 Hochgurgl welcomes you together with Obergurgl in on of the best skiing areas in Tirol: Obergurgl-Hochgurgl. In other places lifts end where fun starts in Obergurgl-Hochgurgl. 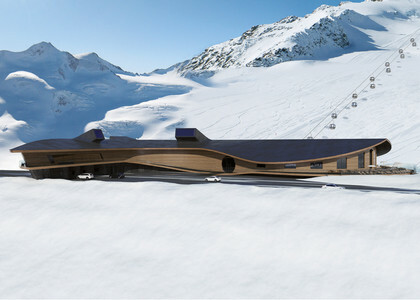 24 mountain lifts, 110 kilometres of ski slopes up to 3,000 meters and above. 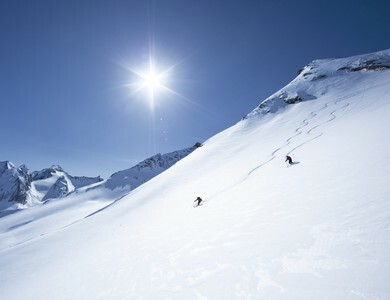 Obergurgl-Hochgurgl is the real deal for recreational skiers. High above the valley you will enjoy perfectly groomed pistes and the picturesque view over all the three-thousandmetre peaks around you. 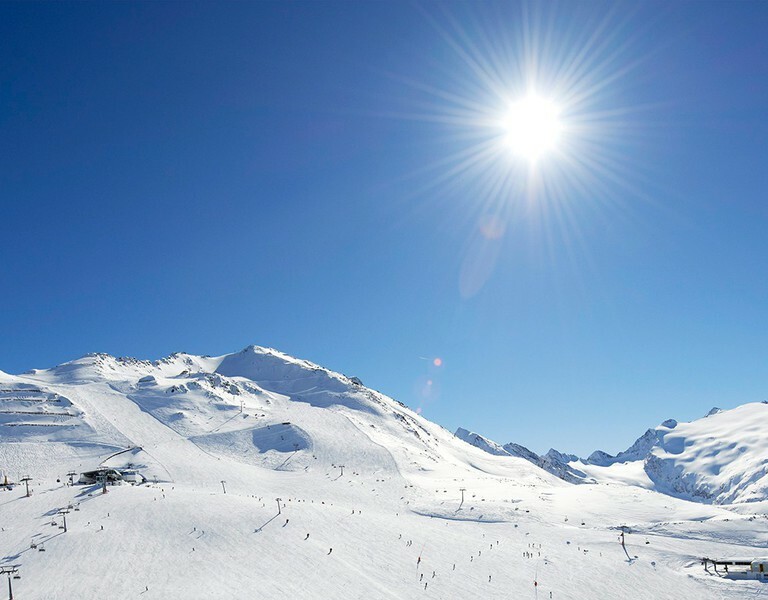 Another unique aspect is the connection between two ski areas: The slopes at Obergurgl and Hochgurgl are linked by the so called ‘Top Express’. The scenic ride is 3.6 kilometres long and offers you a spectacular view over the other ski areas and the alpine world around you. 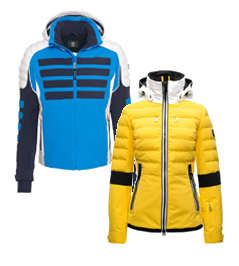 The Top Mountain Star will provide you with distinct elation at 3,080 meters above sea level. 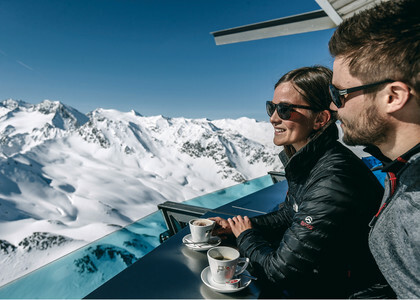 This viewing platform including the so-called Panorama Bar gives you the unique chance to overlook the entire Ötztal Alps. 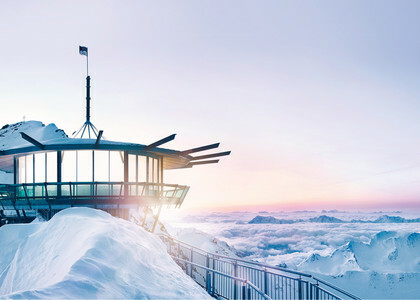 The architectural masterpiece on a narrow ridge of the Wurmkogel is a successful combination of a panoramic plattform and a summit bar. 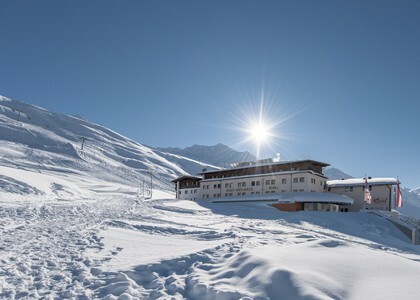 A modern and multifunctional building offers you a road toll station, a motobike-museum and an state-of-the-art mountain restaurant up in Hochgurgl. On the sun terrace of Hotel Riml you have the mountains at your feet. Our culinary delights include everything from soups to salads, crispy Viennese Schitzels, tasty burgers and home-made sweet dreams. 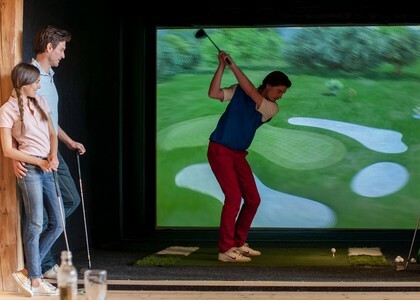 The trendy sporty meeting point in Hochgurgl: An Indoor-Golf area with 4 hight-tech full swing golf simulators, one putting green, one place for Video analysis, one Pro shop and a chilly Putt-in-bar with an outstanding view! 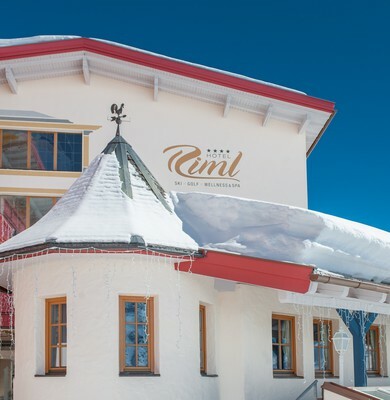 At Hotel riml you’ll find optimum training conditions in virtual settings. You may choose among 54 golf prestige courses. 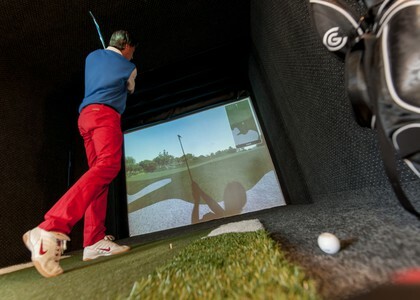 You can play alone on one simulator or with up to 5 other people. You will be fascinated by the high resolution graphics. Playing golf on 2,200 m altitude above sea is no more just sport for bad weather conditions, it’s fascinating at any time! Reservieren Sie jetzt online Ihren Ski und erhalten 15% Rabatt.